In 1974, Arthur Fry, then a scientist at 3M, heard about a new type of glue his colleague Spencer Silver was developing. The adhesive was strong enough to make two things stick together, but weak enough for them to be easily pulled apart. As the story goes, Fry had been using small paper scraps to mark pages in a book of hymns he read music from when singing with his church choir. After learning that Silver wanted to find real-world applications for his glue, Fry came up with the idea of applying a small amount of the adhesive to one side of a piece of paper. The result was 3M’s (NYSE: MMM) Post-it Notes, which are found today in millions of homes and offices across the globe, and have inspired digital look-alikes. Fry and Silver’s collaboration more or less happened by chance, and of course it turned out to be fortuitous. Today, several businesses are marketing tools aimed at helping companies track, evaluate, and implement ideas for new products and initiatives. That can involve bringing people together—in a way similar to how Fry and Silver joined forces—and weighing the pros and cons of ideas in order to advance the ones deemed to have the highest potential. 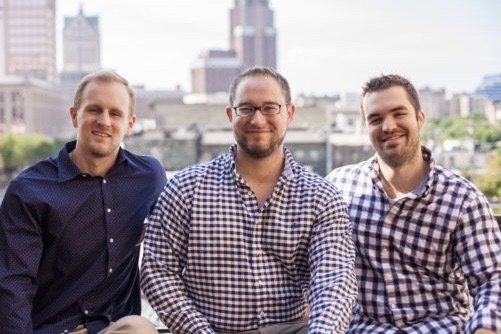 One such company is Milwaukee-based Ideawake, which has developed software allowing employees at medium-sized to large organizations to suggest ideas, rate and critique them, and monitor progress on projects that stem from those ideas. Ideawake co-founder and CEO Coby Skonord says the startup’s digital tools are designed to be versatile; an organization that licenses Ideawake’s software can also solicit ideas and feedback from their customers, or any member of the public, he says. Skonord says Ideawake markets its products to corporations with 500 or more employees. When large employers show that they listen to their rank-and-file workers, that can improve employee engagement throughout the organization, Skonord says. Ideawake, which has nine employees, is currently seeking to raise a $750,000 seed funding round, Skonord says. The company has received investor commitments for about three-quarters of that total, he says. Launched in 2013, Ideawake is seeking to make inroads in a sector that is not especially crowded. Still, there are other venture capital-backed companies that have gained more traction than the Milwaukee startup has thus far. Ideawake’s head-on competitors include Brightidea, Idea Drop, and Spigit, Skonord says. Spigit, which is based in San Francisco, has raised tens of millions of dollars from investors since launching in 2005, including a $13 million funding round announced in 2015. Skonord says he nevertheless sees an opportunity for Ideawake to get its software into the hands of more large organizations. The startup’s current roster of clients include Kennedys, a London-based law firm, and the Wisconsin-based garbage disposal maker InSinkErator, which is part of the appliance giant Emerson (NYSE: EMR). Since ideas are sometimes new solutions to previously identified problems, Ideawake’s software allows users to post “challenges.” A challenge can be associated with a problem someone is experiencing, or a call for suggestions on how a team can meet a particular revenue growth or cost reduction goal on time, for example.